It is my favorite time of year: temperatures begin cooling, kids head back to school, and literary festivals fill my days. 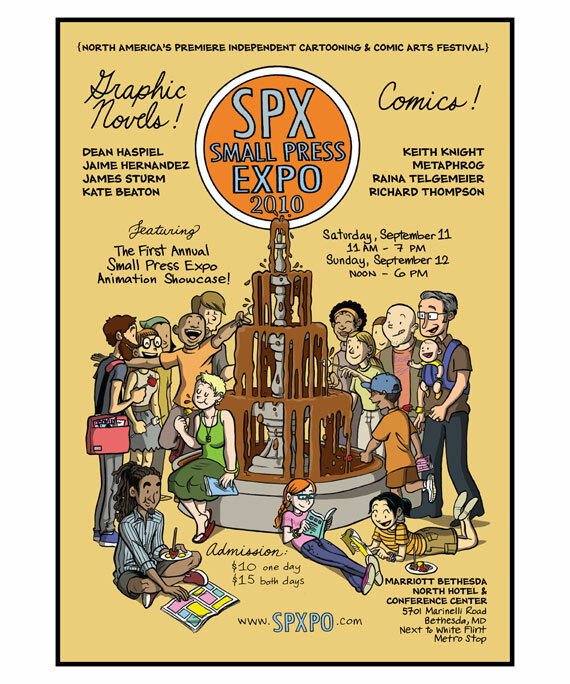 First up is the Small Press Expo, in its fifteenth year as “the preeminent showcase for the exhibition of independent comics, graphic novels , and alternative political cartoons.” The event will be held in Bethesda, Maryland, on September 11 and September 12. Last year, the event drew a reported 3,000 attendees and exhibitors, along with dozens of printers, distributors, retailers, and other industry professionals. SPX will once again be held at the Marriott North Bethesda Hotel and Conference Center, across from the White Flint Metro stop. The event will run from 11:00 am to 7:00 pm Saturday and from noon to 6:00 pm on Sunday. Admission is $10 for one day and $15 for the weekend, collected at the door. 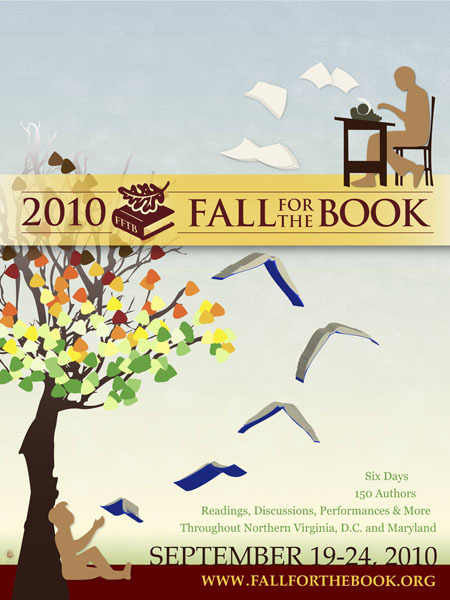 Next, George Mason University’s annual Fall for the Book festival stretches over an entire week, from September 19 to 24. You have no excuse not to attend at least one event! T he many esteemed participants, in field ranging from fiction to parenting, are too numerous to list here. All Fall for the Book events are free of charge, although attendees are encouraged to reserve advance tickets to high-profile events, such as a talk by Katherine Stockett, the author of The Help. Be sure to check out the schedule of events so you don’t miss a thing. The event will held on the GMU campus (4400 University Drive MS3E4, Fairfax, VA 22030); to plan your trip, check out the directions and parking, as well. 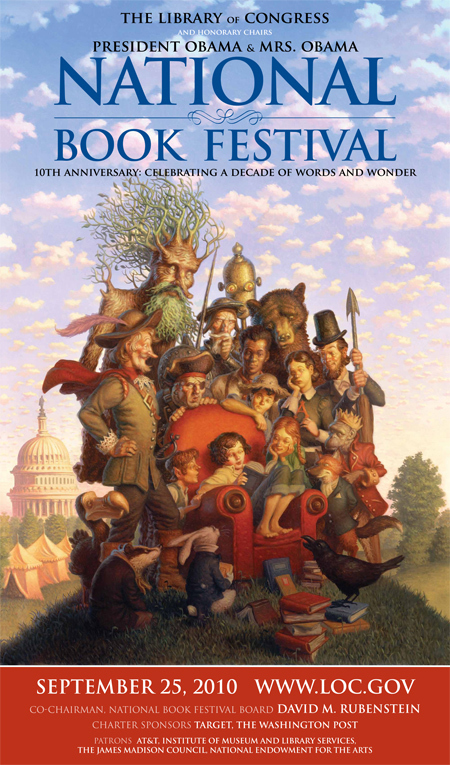 To cap off a very literary month, the tenth annual National Book Festival is back on Saturday, September 25. This event is also free of charge, and promises a plethora of well-known and emerging authors. The Library of Congress website offers an array of multimedia products to get you in the mood for the event, including videos, podcasts, and webcasts. NBF is one of my favorite things in D.C.; when else do you see thousands of book-lovers mob the Mall? This year, Martha Grimes tops my list as the must-see speaker. Who are you most looking forward to?